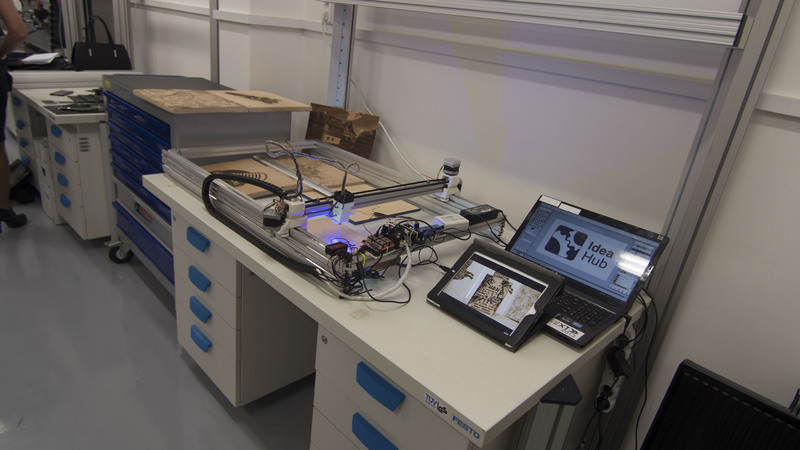 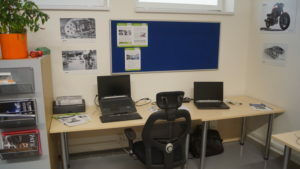 IdeaHub provides a prototyping workshop and facilities where members can form their own design solutions when working on technical projects and learn to work with modern manufacturing technologies. The workshop covers an area of 120 square meters and is divided into three parts. The biggest one, mechanical part is equipped with various technologies for production of prototypes. 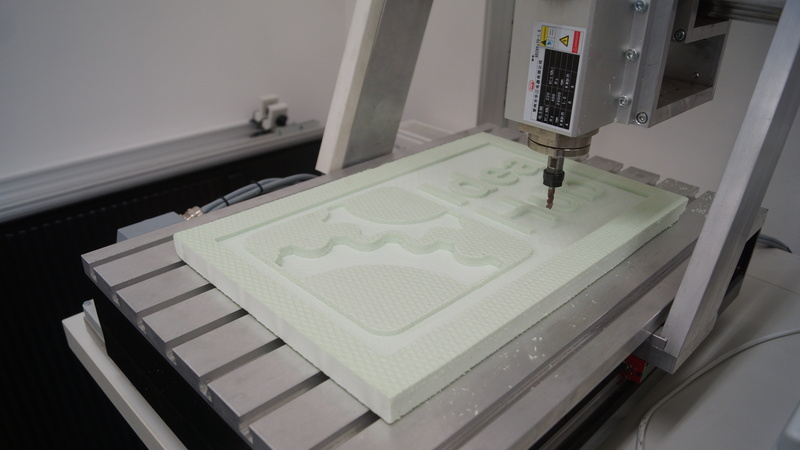 You can find there all the necessary tools from the drill to the CNC milling machine, as well as the wide range of hand tools. 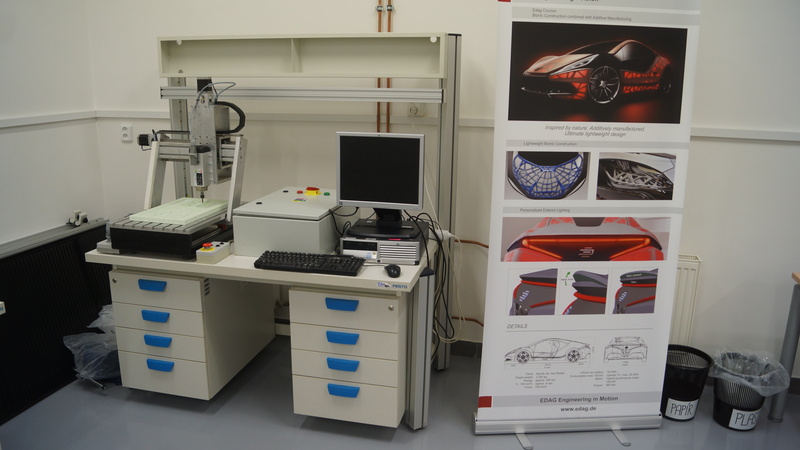 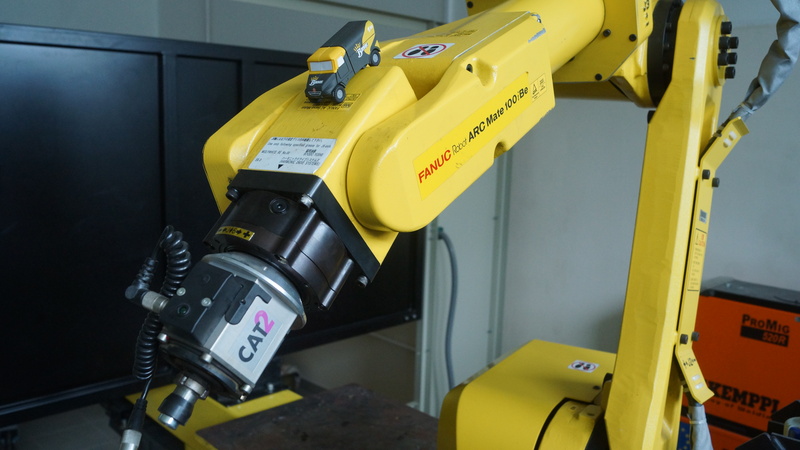 Second, electronical part is equipped with laboratory and measuring instruments, soldering station and there are also computer CAD/CAM support systems. We have a robot workplace with FANUC Robot ARC Mate 100iBe welding robot. The arm with 6 degrees of freedom has a carrying capacity of 6kg and a range of 1373mm, with a repeatability of ± 0.08mm. 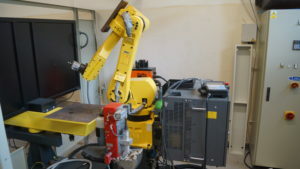 The robot is in a closed security cage, equipped with a rotating welding table. In our welding arsenal there is a classic electrode welder KÜHTREIBER KITin 1500HF (140A) for the MMA method (coated electrode), which can be extended to TIG welding (non-fusing electrode in protective atmosphere). 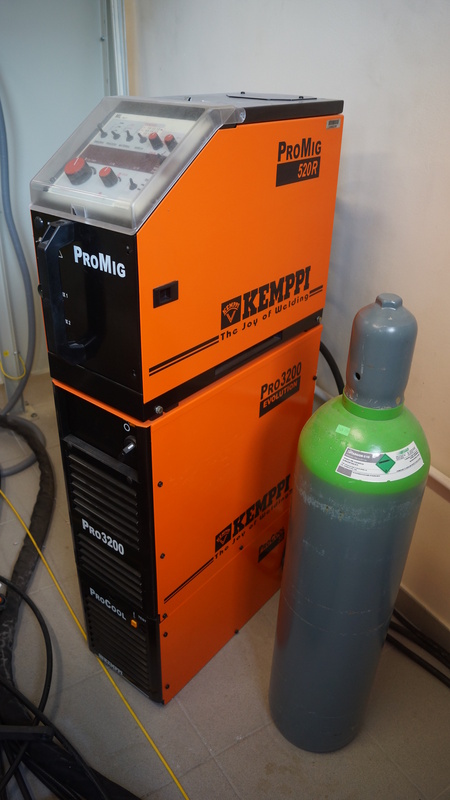 Furthermore, we have a KEMPPI ProMig 520R (320A) industrial welding unit for MIG / MAG welding, which can also be mounted on the FANUC robotic arm. Welding takes place on a rotating welding table, with clamping clips, suction and filtration of fumes. 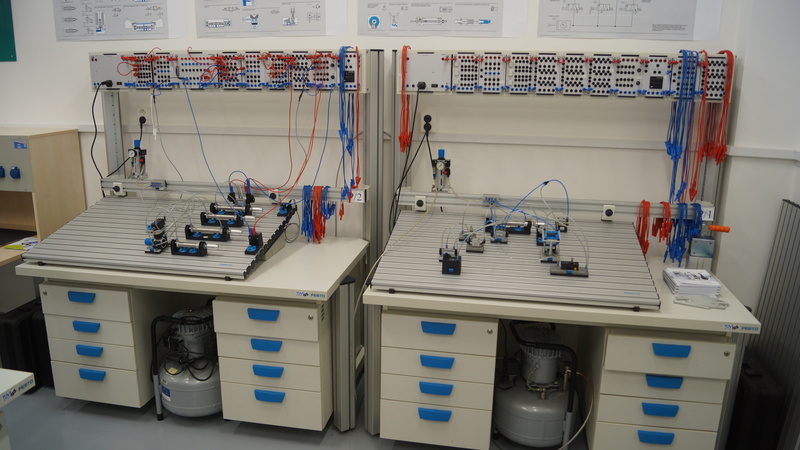 Our electrical workstation contains everything you need to design and build electronic circuits and devices, whether you need to devise a simple circuit or design and make a more complex circuit. You will find here a miniature soldering iron, a pistol soldering iron, a soldering station, a laboratory source, an oscilloscope, a multimeter, a variety of measuring instruments and, of course, all the necessary materials, such as cabling, components, connectors or PCB’s. 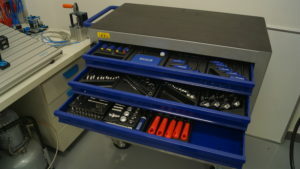 There is also a range of hand tools such as crimping pliers, wire strippers, precision micro-screwdrivers, tweezers, and more. 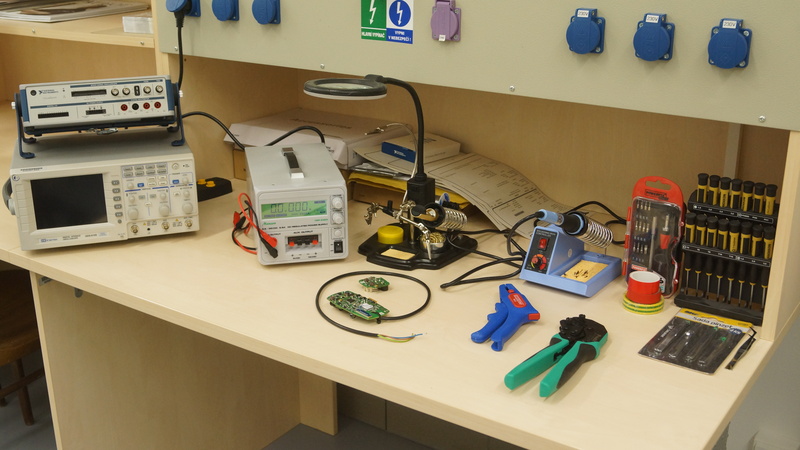 We are able to ensure the manufacture of printed circuit boards. 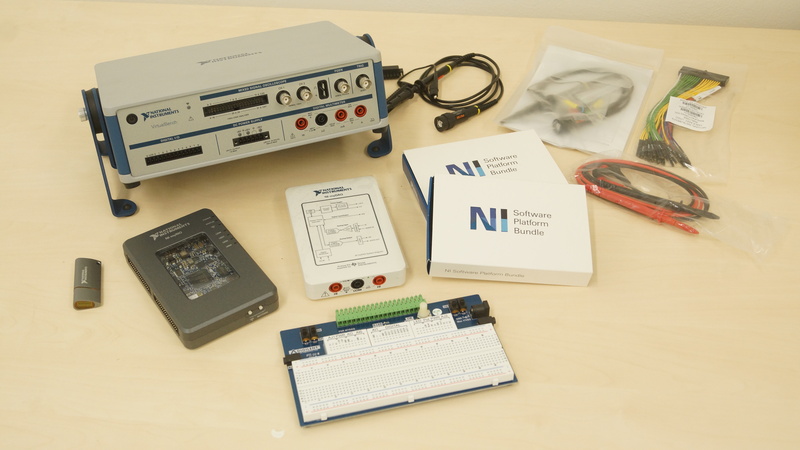 The electro workplace is also equipped with National Instruments components such as myDAQ, myRIO, and other LabView programming software. 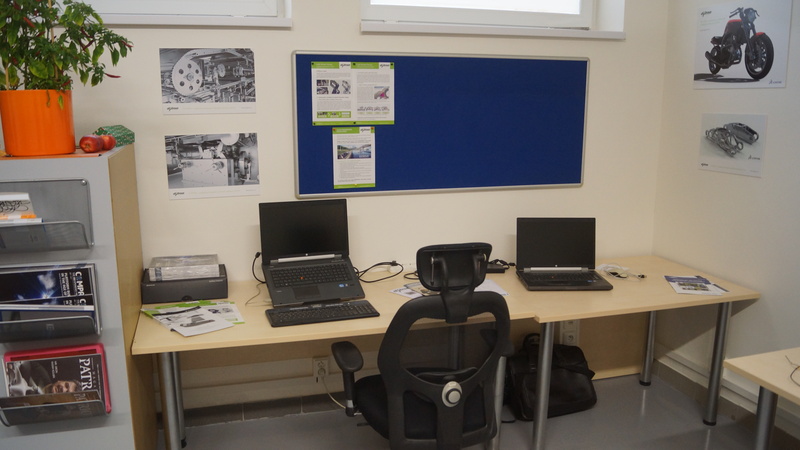 In our premises we have fully equipped pneumatic workplaces FESTO. 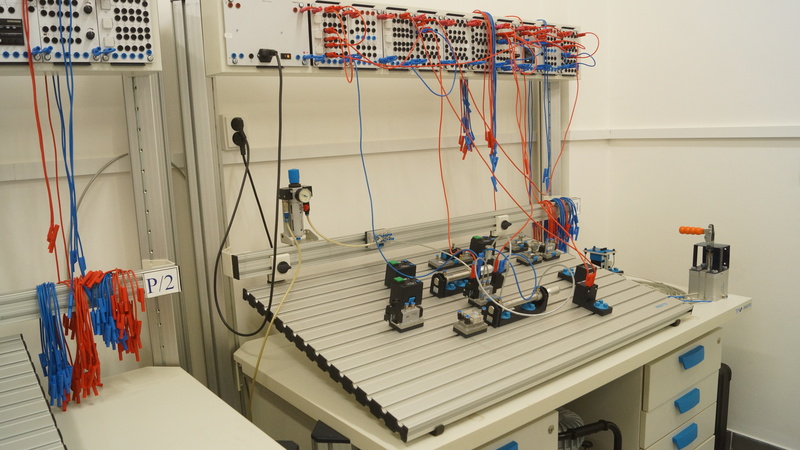 Tables are equipped with compressors and all industrial automation components such as sensors, switches, cylinders, hubs, controllers and control electronics. Additionally, assembled circuits can be automated and controlled via logic members or via a programmable control box. 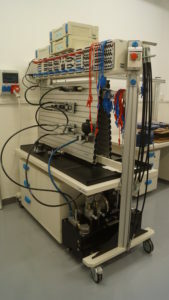 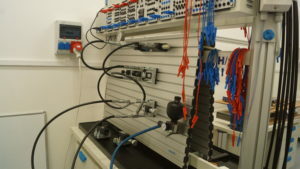 Also the FESTO hydraulic stand is fully equipped for all hydraulic circuits. You will find compressors, valves, cylinders, hydromotors, switches and regulators here. 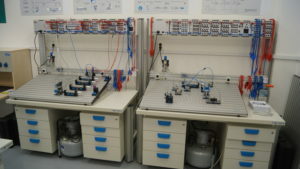 Like pneumatic circuits, these can also be fitted with sensors and fully controlled by a programmable control box. 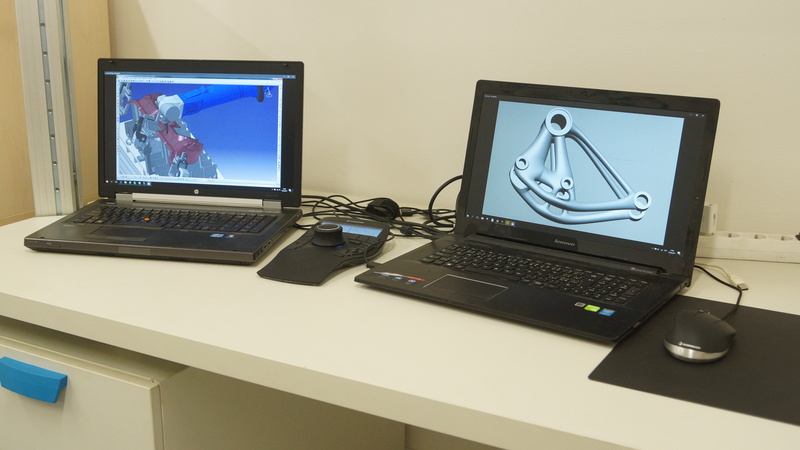 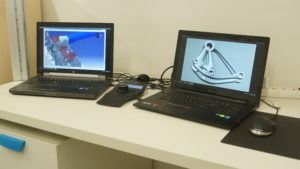 In the CAD section, you will find two stations equipped with CATIA software in the research version with all available modules, including Simulia or Robotics. We have a CNC milling machine capable of machining plastics and light metals. 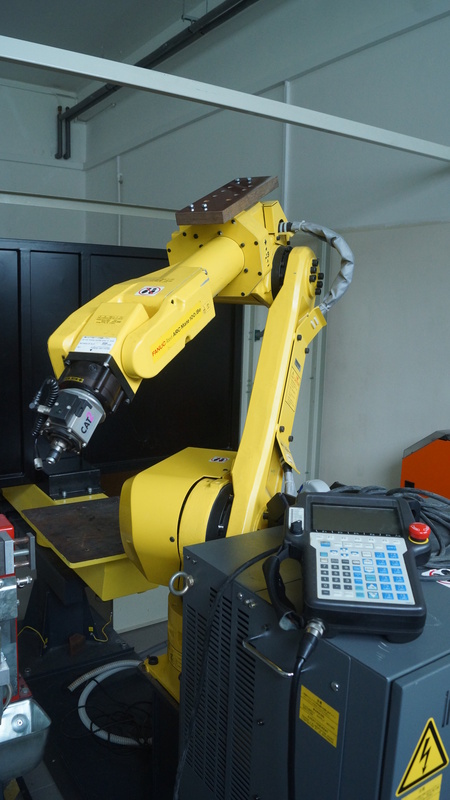 The maximum machining dimensions are 280 x 400 x 100 mm and the feed rate is 2 m/min. 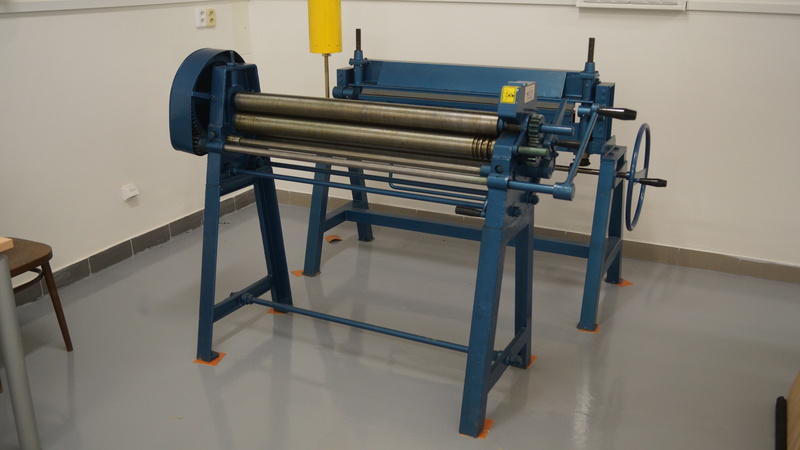 The spindle has 1.5kW, 24000 rpm and a clamping diameter of 1 – 7 mm. We are working on the design and construction of our own laser cutting machine and engraving machine. 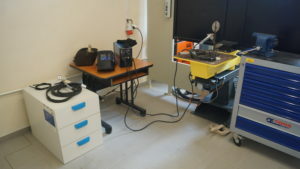 In our premises there are several assembling places, which are used to complete and finish the products and prototypes. 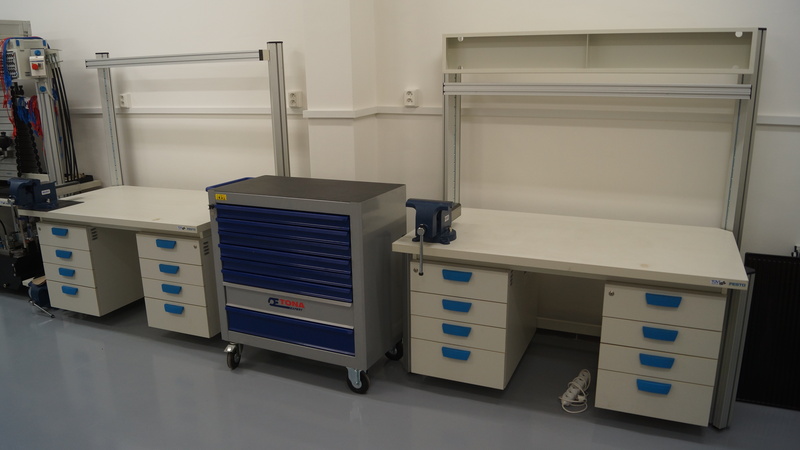 These are workshop desks equipped with vices and hand tools. 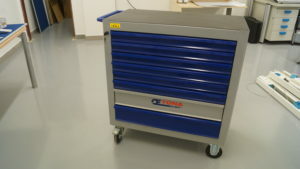 Tona Expert mobile workshop trucks are also available, fully equipped with rattles, goulas, keys, files and other hand tools. In IdeaHub there is also available a full range of electric and battery tools, such as drill, angle grinder or screwdriver. For sheet metal parts we have a bending and a curling machine. These devices are used to manufacture various sheet metal parts, in particular various covers, packages, etc.